Straub’s rise to ascension began more than20 years ago in 1993 as co-founder of The Space Navigator one of the first Austrian dance acts to receive an international record deal. Fascinated with the dance scene Straub wanted to see it grow in his hometown of Vienna causing him to fire up Austria’s first major booking agency Vienna Soundpool. In 1993 teaming up once again with his Space Navigator partner Oliver Riepl the duo launched Partysan Magazine and Vienna Soundpool eventually became Partysan Booking. 1993 was also Straub’s first true inauguration to the dance circuit performing his first show as Felipe at Vienna’s legendary Club Infantil. Partysan Booking grew at record speed, taking on hundreds of bookings ultimately expanding out of Austria and throughout Central Europe. By 1998 Partysan had become a mammoth power internationally, a titan of epic proportions within the booking industry resulting in a final name change to Titan International; a name revered throughout dance music circles the world over representing EDM heavyweights such as Carl Cox, Paul Kalkbrenner, Felix da Housecat, Dubfire and many more in Austria and partly central east Europe. 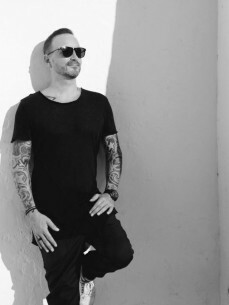 Alongside his work at Titan International in 2001 under the Felipe moniker Straub launched his signature club night Essence at Vienna’s premier club Flex. Essence was swiftly established as Vienna’s definitive club night becoming host to massive names such as Sven Väth, Richie Hawtin, Luke Slater, Chris Liebing, Marco Carola, Dave Angel, Adam Beyer and many more. By 2003 Straub was hungry for more. Using his unquestionable entrepreneurial talent Straub teamed up with Nicolas Bacher to launch Titanium Records. Soon enough in another successful venture Titanium garnered the attention of highly respected DJs such as Carl Cox, Chris Liebing, Laurent Garnier, Marco Bailey,DJ Rush and many more. After some years it was time to focus on his own career and he stopped this fruitful cooperation to go solo again as a producer and Dj. He dropped his alter ego Felipe and decided to tour with his given name under which he also continues to release on strong imprints like Bedrock, MBF, Intec and others. In 2013 a new challenge came up when Straub became music consultant for Coca Cola & Monster to re-develop and run the biggest Dj competition in the world: Burn Residency. He was working with his fellow friends Carl Cox, Pete Tong, John Digweed, Dubfire and many more to support new talents and help them becoming part in the world of music business.